Taisy system, Lonetrek region. On the 25th of September at 19:00 EVE Standard Time, Circle-Of-Two [CO2] clashed with Snuffed Out [B B C]\Project.Mayhem. [16-13] in the system in a battle that proved bloody and costly for both sides. The battle was fought over an anchoring citadel above the M-OEE8 gate in the system belonging to Project.Mayhem.. The alliance had tried to anchor a citadel there several times in the past but had always been rebuffed by Circle-Of-Two. This instance was no different, with Circle-Of-Two forming a 180 Machariel battleship fleet and traveling to the system through the M-OEE8 gate before warping to the still anchoring structure. Setting up on the citadel itself, the Circle-Of-Two force opened fire on its vulnerable hull, steadily chewing through its fragile structure. Snuffed Out and Project.Mayhem. were quickly alerted to Circle-Of-Two’s actions and organized a relief force of a 160 pilots, mainly in Machariels as well, which raced to the system in order to save the besieged structure. Arriving just before the last moments of the citadel, the Snuffed Out\Project.Mayhem. fleet warped to the battered structure, landing near the Circle-Of-Two fleet with merely 20 kilometers separating the two Machariel fleets. Without hesitation, both sides opened fire on each other, filling the space between them with a hail of auto cannon shells. The massive fire exchange proved deadly, as ships on both sides caved in to the massive barrages. One of the first victims of the fight was the citadel itself, which was destroyed in the opening salvos. Regardless, Snuffed Out\Project.Mayhem. continued to fight, oblivious to the loss of the objective and focusing their fire on the hostile fleet. One by one, the Circle-Of-Two Machariels were overwhelmed, armor plates punctured and the structure below shredded as the storm of 800mm shells broke against their hulls. Explosions lit the grid as battleships suffered critical damage and succumbed to it, leaving smoldering wrecks in the wake of their demise. However, the battle was not entirely one sided as Circle-Of-Two did manage to inflict some losses in return, though often trading 3-5 mainline ships in the process, making it quite an uneven exchange. This was due in part to the presence of 3 Apostle force auxiliary ships from the start of the fighting on the Snuffed Out\Project.Mayhem. side which proved invaluable in helping the fleet to soak up the incoming damage. In order to overcome the Snuffed Out\Project.Mayhem. fleet, Circle-Of-Two needed to remove them from the field. Thus, the order was given to light a cynosural beacon in the midst of the fleet and usher in 2 capital squadrons to deal with the hardy force auxiliaries. The capital squadrons were dreadnought heavy, the enormous ships entering their siege cycles and opening fire on the Apostles. With them also came 3 Apostles for the Circle-Of-Two side in order to bolster their struggling logistics wing so the sub-capital fleet could hold against the onslaught. Great beams of coherent light, gigantic balls of super heated plasma and artillery shells as large as shuttles crashed into the Snuffed Out\Project.Mayhem. Apostles, managing to swiftly destroy one of them, the focused violence overwhelming its defenses. The force auxiliary was rocked with explosions as its reactors went critical, with internal detonations throwing debris in all directions and leaving a silent wreck behind. Yet, Circle-Of-Two was not the only to have capital support in range. In response, the Snuffed Out\Project.Mayhem. fleet lit its own cynosural beacon, jumping in 2 capital squadrons of its own, including a few combat carriers. Landing on grid, the dreadnoughts entered their own siege cycle and returned fire, focusing on the enemy dreadnoughts present. The fight quickly deteriorated into an even more brutal melee, as the two dreadnought forces exchange devastating volleys at close range, their sub-capital fleets adding their own fire power into the mix. 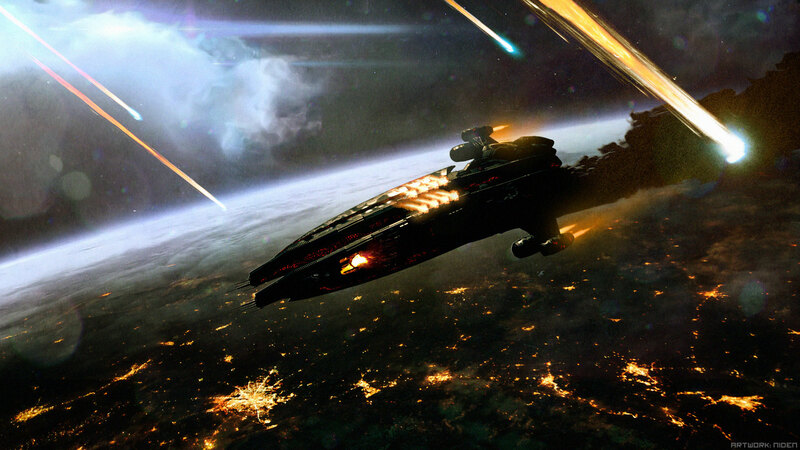 Within minutes, capital ships on both sides were reduced to massive wrecks, floating between the opposing fleets as more and more Machariels were lost regardless of affiliation. The battle had become a literal bloodbath. Slowly, however, Circle-Of-Two was turning the tide in its favor. With M-OEE8 system (Circle-Of-Two’s staging system) just a jump away, Circle-Of-Two continued to reinforce its fleet. More and more Machariels warped in, replacing losses on the Circle-Of-Two side. Not content with only that, more dreadnoughts were brought in, jumping into the field thanks to the cynosural beacon still burning on grid. The influx of dreadnoughts was particularly worrisome for Snuffed Out\Project.Mayhem., as some had fitted high angle turrets, guns specifically designed to track and hit sub-capitals. As the battle wore on, the magnitude of the firepower unleashed by Circle-Of-Two became staggering. For Snuffed Out\Project.Mayhem., this meant mounting losses. Having lost nearly half their capital support and the rest quickly extracted once the siege modules had cycled down, they were unable to compete in terms of raw firepower. Whats more, with their enemies able to replace their losses and bring forth more ships to the field, Snuffed Out\Project.Mayhem. were at risk of being overwhelmed. This found expression in the balance of losses; the gap between the two fleets was shrinking fast. As the exchange continued, things got gradually worse. The Circle-Of-Two dreadnoughts, freed to fire on the hostile Machariels, added more pressure on the already struggling logistics wing of Snuffed Out\Project.Mayhem.. With the loss of 2 Apostles, the logistics wing was now fighting a losing battle of its own, unable to save many ships as the firepower arrayed against it proved impossible to withstand. Realizing their dwindling numbers, the constant stream of reinforcements for its enemies and the bleak outcome they painted, the Snuffed Out\Project.Mayhem. fleet commanders had no choice but to concede the field, or risk total annihilation. Warping out, the surviving Snuffed Out\Project.Mayhem. Machariel fleet retreated, allowing Circle-Of-Two to claim the field. Disposing of the last stragglers remaining, Circle-Of-Two then made its way home uncontested, having won both the fight and the objective. All told the battle lasted 40 minutes with Time Dilation not reported by combatants. The system itself is estimated to have held nearly 500 pilots at the peak of fighting. Circle-Of-Two lost 100 ships in the fighting, including 9 dreadnoughts, 1 force auxiliary and 79 battleships for a total of 62.18 billion ISK. Snuffed Out and Project.Mayhem. lost 75 ships including 11 dreadnoughts, 3 force auxiliary, 2 carriers and 40 battleships for a total of 99.45 billion ISK. *The banner picture of this article was created by Niden of Snuff Box, Snuffed Out and used with his full knowledge and consent. For more artwork by Niden please visit his deviant art page. It¡¦s in reality a great and helpful piece of info. I am happy that you just shared this helpful information with us. Please stay us informed like this. Thanks for sharing. Whats up very nice site!! Guy .. Beautiful .. Wonderful .. I will bookmark your blog and take the feeds additionally¡KI am happy to seek out a lot of useful info here in the submit, we need develop more strategies on this regard, thank you for sharing. . . . . .
What i don’t realize is in fact how you’re now not actually much more well-favored than you may be now. You’re so intelligent. You already know therefore significantly in terms of this topic, produced me in my opinion imagine it from a lot of numerous angles. Its like women and men aren’t interested until it is something to do with Girl gaga! Your individual stuffs great. All the time deal with it up! Hi my friend! I want to say that this article is amazing, great written and come with almost all vital infos. I¡¦d like to see more posts like this . I wish to have the ability to label blogs I like and also have them reveal on my internet site. Any tips on the very best path to tackle this. Any kind of input would certainly be helpful. You can definitely see your enthusiasm in the paintings you write. The arena hopes for even more passionate writers such as you who aren’t afraid to say how they believe. Always go after your heart. I’m still learning from you, as I’m making my way to the top as well. I absolutely enjoy reading all that is written on your site.Keep the stories coming. I enjoyed it! Great post. I was checking constantly this blog and I am impressed! Very useful information particularly the last part 🙂 I care for such information a lot. I was looking for this certain info for a long time. Thank you and best of luck. fbCW1i Really appreciate you sharing this article.Really looking forward to read more. Hello, I do think your web site could be having browser compatibility problems. Whenever I look at your blog in Safari, it looks fine however when opening in IE, it’s got some overlapping issues. I merely wanted to give you a quick heads up! Besides that, great site! Simply just how does one earn money from blog sites? Exactly how does one begin it or set about it? Is there a certain means to do it? Just exactly how does one generate income from blog sites to begin with? Where does one begin in this? Do you have to market as well as use your bank card? Exist any type of certain type of rules you have to comply with? Do you need to establish the blog up yourself or exist ones that aid you set up it up? Exactly how do you get marketers on your blog? Are individuals limited to the number of blog sites online? Exactly how often do you get paid?. Thanks for the aid!. exactly how come some blogs in a blogroll do not have their latest message detailed as well as others do? Exactly how to transform that?